Grand Central Publishing, 9780446697101, 576pp. But when blight destroys the potatoes three times in four years, a callous government and uncaring landlords turn a natural disaster into The Great Starvation that will kill one million. Honora and Michael vow their children will live. The family joins two million other Irish refugees--victims saving themselves--in the emigration from Ireland. Danger and hardship await them in America. Honora, her unconventional sister Máire, and their seven sons help transform Chicago from a frontier town to the "City of the Century." The boys go on to fight in the Civil War and enlist in the cause of Ireland's freedom. 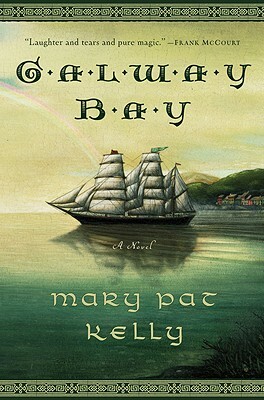 Spanning six generations and filled with joy, sadness, and heroism, GALWAY BAY sheds brilliant light on the ancestors of today's forty-four million Irish Americans--and is a universal story you will never forget. Mary Patricia Kelly is the author of a novel Special Intentions, and nonfiction on subjects as varied as Martin Scorsese and the rescue of Scott O'Grady from Bosnia. In her life, she has been everything from a nun to a documentary filmmaker to a producer of short films for "Saturday Night Live". She lives in New York City.